Venkat Gadepalli, PhD-Integrated Life Sciences, VCU (08/2009-12/2014). Database Scientist, Molecular Diagnostics Laboratory, Department of Pathology, VCU. Marion Joe Riggs, PhD-Integrated Life Sciences, VCU (08/2006-05/2014). Postdoctoral Fellow, Department of Biomedical Informatics, Harvard Medical School. Khaled Alsayegh, PhD-Human and Molecular Genetics, VCU (08/2009-08/2013). Institute of Advanced Biomedical Engineering and Sciences (Tokyo Women’s Medical University), King Abdullah International Medical Research Center (KAIMRC-WR) – King Abdulaziz Medical City. Kelsey Albert Biology, MS-Biology, VCU (08/2006-07/2007). Department of Neurology, University of California Irvine Medical Center. Sheena Abraham, PhD-Chemical and Life Science Engineering, VCU (08/2005-05/2010). Department of Cardiovascular Medicine, Stanford. Nikolai Eroshenko, BS-Biomedical Engineering, VCU (05/2006-07/2008). Postdoctoral Research Associate, Harvard Medical School. Virgie Fields, BS-Biomedical Engineering, VCU (05/2010-05/2013). CDC/CSTE Applied Epidemiology Fellow, Arkansas Department of Health. Dr. Shilpa Iyer, Biological Sciences, Fulbright College of Arts and Sciences, University of Arkansas, Fayetteville. 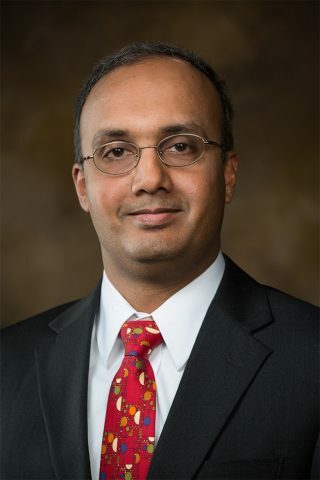 Dr. Anand Ramamurthi, Biomedical Engineering, Cleveland Clinic. Dr. Kartik Balachandran, Biomedical Engineering, University of Arkansas, Fayetteville.